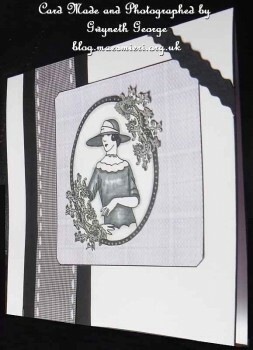 Today I’ve got a card to show you. 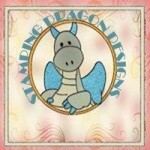 Yesterday, in her Sunday Showcase on the Dragons lair Designs Inspiration Blog, designer Janette Padley gave a digital stamp along with some backgrounds as a mini collection FREEBIE! 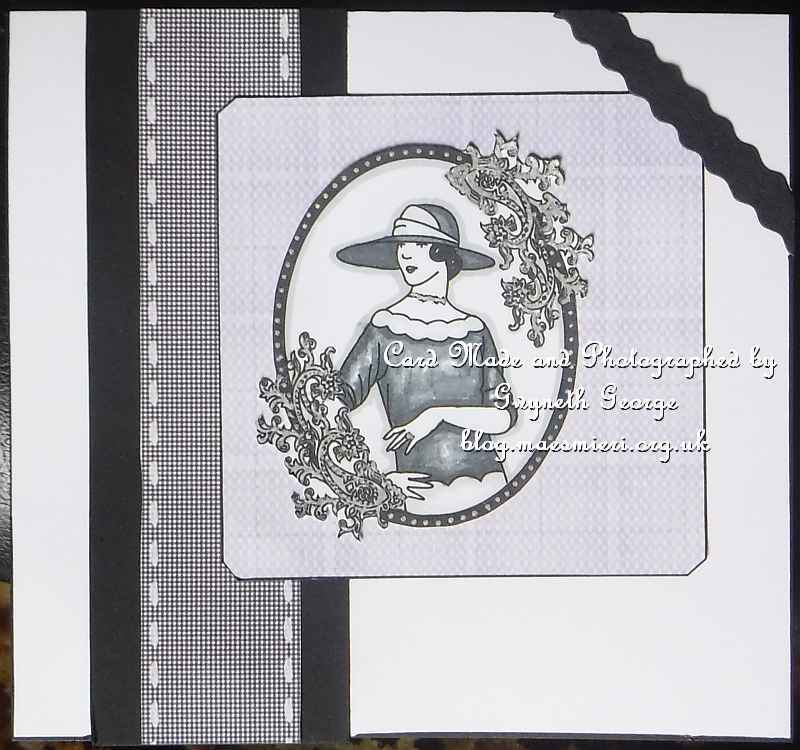 This week I decided to go with just using the digi-stamp, and as I’ve made several digital scrapbook layouts with the freebies lately I decided to go with a card this time. In fact, I decided on a monochromatic card. 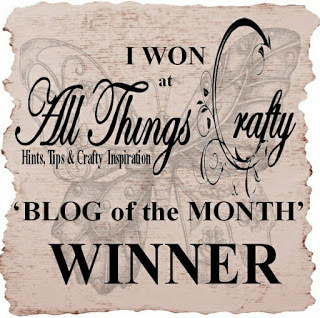 “Vintage Lady” mini collection – Freebie with Sunday Showcase of 24th April on the Dragons Lair Designs Inspiration Blog. 250gsm White super smooth cardstock. Assortment of bits of backgrounds, etc., from my box of bits. Having decided to go monochromatic this time I searched through a tray of bits I’ve got left over from previous projects and fished out some black cardstock and a couple of grey tone background patterns and some paper rikrac ribbon. I resized the digi-stamp to the required size and printed it before colouring it in with various grey and black alcohol markers. I wanted a bit of silver on the image, although I don’t think it shows up well in the photo, but didn’t want it to completely cover the detail of the flourishes on the frame, so, I dotted silver on between the details and then went over it with one of the grey markers. This has given it a bit of a distressed silver look. I also used the silver for the lady’s necklace and ring. After colouring in I cut out the digi-stamp image. I then cut up the pieces I’d chosen to use to the required sizes and stuck everything together using quick dry glue. 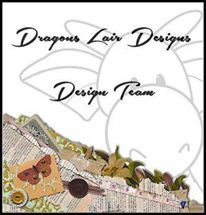 Dragons Lair Designs is giving a freebie with the Sunday Showcase each week, as well as a chance to win something for showing us your creation using anything DLD (even if you use the freebie given any week), so remember to drop into the Dragons Lair Designs Inspiration Blog next Sunday to collect your freebie.